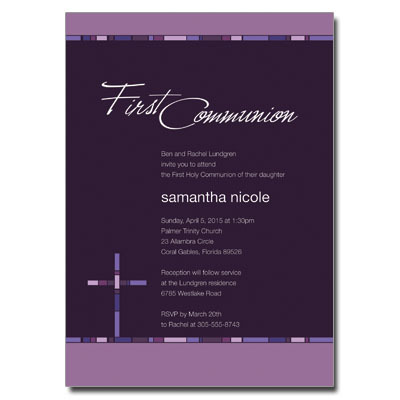 Celebrate this special moment in your child's life in a bold and stylish way with this elegant communion invitation. This modern design is sure to capture the magic of this special day. Card measures 5x7.